JARVISH X and X-AR motorcycle helmets feature Wi-Fi, Bluetooth, cameras for rear-view and recording, and access to virtual assistants like Amazon Alexa, Google Assistant, and Siri. 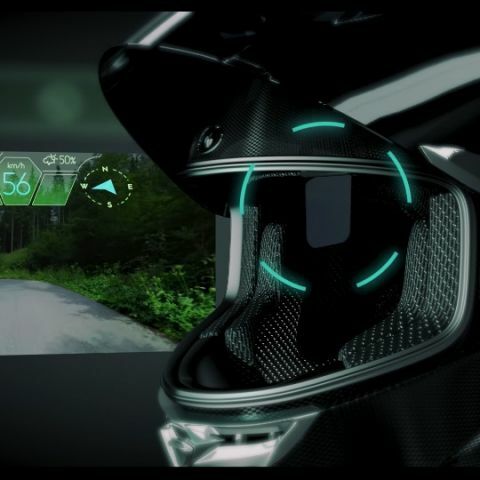 A new smart motorcycle helmet called JARVISH X-series was launched earlier this week with a host of cool features built-in. The new smart helmet is available in two variants: X and X-AR. Both variants feature connectivity options like Wi-Fi and Bluetooth to connect to smartphones. According a JARVISH press release, the helmets can work with virtual assistants like Amazon Alexa, Siri, and Google Assistant to allow the rider to perform functions like make a call, play music, and adjust volume using voice commands. That’s not all though—the JARVISH X and X-AR have HD surround speakers (with an individual audio processor), noise-cancelling microphones, and a 2K camera in the front for those who like to record their ride. The Full HD video can either be stored on a removable memory card (of up to 256GB capacity) or be broadcast live to the user’s social media account by voice command. It can also be stored on a personal cloud server. The JARVISH X-AR (where the AR stands for augmented reality) offers a little more: it has an additional camera on the back and a retractable HUD (head-up display). The HUD can be used as a rear-view mirror and as an information display to be notified of weather updates, caller information, route guidance, etc. The JARVISH X-AR’s battery is good for up to four hours of continuous use on a full charge, while the X’s battery is good for up to six hours. Both helmets can regain 80 percent of the full charge in 90 minutes using a microUSB cable. JARVISH, seemingly a play on Iron Man’s virtual assistant’s name, is a Taiwanese startup that’s being funded by a Kickstarter campaign. The JARVISH X and X-AR smart helmets are available for pre-order on JARVISH’s website for $699 (Rs 49,000 approx) and $1,599 (Rs 1,11,830 approx) respectively. The startup aims to start shipping the two smart helmets from mid-2019.